Ash dieback has been fast spreading across East Anglia and in response to this deadly disease that threatens 80 million Ash trees, developers and academics have worked together to create an app that locates sightings efficiently and effectively. The new app AshTag allows the general public to send pictures of infected trees to researchers and authorities along with their precise location. This new app for IOS and Android phones has been developed in hope that it will prevent the disease from spreading and stop the possible repetition of the Dutch elm disease that wiped out 25 million elms in the 1970s and ‘80s. 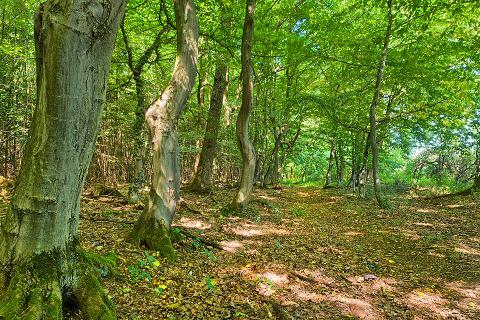 Toby Hammond of the Adapt Group at the University of East Anglia, said: “One of the biggest problems faced by forest conservationists is how to track the spread of the disease and act swiftly to reduce the impact of outbreaks. There isn’t the manpower to do it. “But this app means we can harness the mass power of the general public to tell us where outbreaks are happening. “We realised that time really is of the essence if we are to safeguard our forests. The spread is very fast moving so our team has worked around the clock to get the app up and running. The disease is caused by the Chalara fraxinea fungus, which causes “lesions on the Ash’s bark, dieback of leaves at the tree’s crown and leaves turning brown” (The Guardian). With autumn making its presence known it can be difficult to distinguish between the leaves browning naturally or due to the fungus. However, the app aims to help users indentify the signs they need to look out for to minimise false reports. Mr Hammond continued: “One of the technical challenges is to minimise false reports through the system. We don’t want the already over-stretched agencies like the Forestry Commission being overwhelmed with reports of ‘brown leaves’, but we believe technology can help here, and have some great plant experts helping with diagnosis.” Action against Ash dieback has already been put in place with the Environment Secretary, Owen Paterson announcing a ban on Ash tree imports. "This is a very serious disease that demands action to stop its spread. I have ordered both an import ban and movement restrictions on trees from infected areas. This comes into force immediately," said Mr Paterson. If you don’t have a smartphone you can manually upload images and location details on the www.ashtag.org website. This news piece was contributed by Notcutts, a long-established garden centre chain specialising in a range of garden supplies including plants, barbecues, tools and garden sheds. Tree ferns on the Move? Chillies Hotter than the Sun!